What is the science behind using cannabis to address asthma symptoms? Contrary to popular opinion, cannabis can help asthmatics in many ways. Though perhaps surprising, some research indicates that compounds found in cannabis can contribute to relieving certain acute and life-threatening symptoms of asthma. When one thinks about cannabis, the first image that likely comes to mind is someone somoking a joint. Of course, smoking is most often associated with various adverse effects on our lungs, but things are never that simple when it comes to cannabis. Around 1200 BC, ancient Egyptians used the herb to treat many conditions, including asthma. More recently, and not so long ago, before cannabis was made illegal, cannabis was used as a cough medication. In fact, during the early 1920s, medical practitioners were allowed to prescribe it, and cannabis tinctures were one of the preferred additions to cough medicines since they didn’t make patients depressed and constipated (as morphine often did). Prohibition started soon thereafter, and the tobacco industry expanded to unimaginable heights. When the lung cancer-tobacco link was discovered, however, smoking (including cannabis) began being labeled as very dangerous for everyone, including asthma patients. Recently, new scientific findings have shed more light on the issue. What is the science behind using cannabis to address asthma symptoms, patients’ experiences with the plant and the recommended methods to achieve some relief for those so afflicted? changes in temperature or humidity (even the cold air). Depending on the individual, asthma attacks can occur a few times a day or a few times per week. Although the disease affects people of any age, usually, the first symptoms start to occur in early childhood. Interestingly, boys are more likely to developm asthma than girls, but adult women are more prone to getting asthma than adult men. Also, young adults between the ages of 18 and 24 are more likely to be diagnosed with the condition that older adults. Because of all the air pollution and an ever-growing variety of allergens, it’s no wonder the number of asthma sufferers is on the rise since the ‘60s, increasing by 15 percent in the last decade. 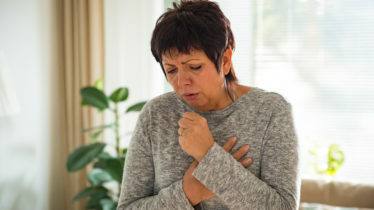 Usually, if sufferers avoid conditions that trigger their symptoms and take their medications as prescribed, keeping asthma under control is not an issue. That said, asthma can be persistent, very frustrating and exhausting. Conventional medications may not be attractive in general since they contain steroids and immunomodulators that could have side effects. That may be why many patients are looking for different solutions. So how does cannabis compare to mainstream pharmaceuticals as an asthma treatment? Discovering the link between cannabis and asthma began in earnest back in 1975 with one small and very simple study. A group group of researchers led by Dr. Donald Tashkin artificially induced bronchial spasms in eight “clinically stable” asthma patients, focusing on the behaviour of their airways. In different sessions, spasms were induced either by methacholine inhalation, or by exercising on an electric stationary bicycle and treadmill. Patients were then administered either a placebo or actual cannabis with two percent of THC. The study, Effects of smoked marijuana in experimentally induced asthma, found that placebo subjects recovered from bronchial spasms in 30 to 60 minutes, on average; subjects who were given 2 percent THC cannabis were relieved from spasms almost immediately. This was a revolutionary discovery at the time given the stigma around cannabis and smoking with asthma. In March 1985, a 20-year-long study was initiated and concluded that moderate cannabis smokers who were diagnosed with asthma improved their lung function without suffering the lung damage compared to cigarette smokers. 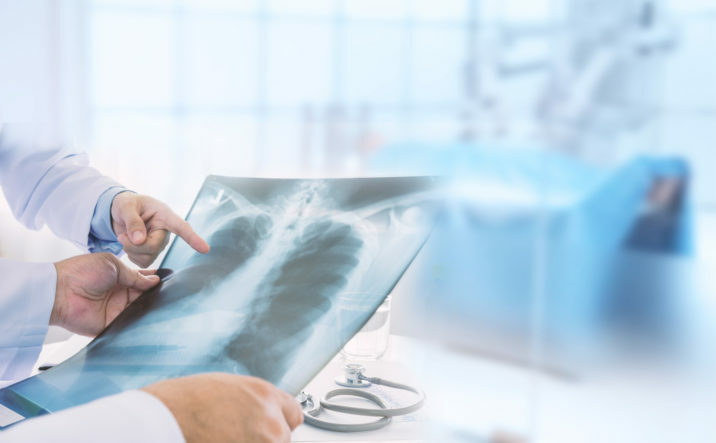 In a 2014 study, researchers isolated bronchi samples from 88 participants, both from healthy subjects and asthma patients. They induced bronchial spasms by electrical stimulation, and then administered THC as well as some other, synthetic cannabinoids. The research found that cannabinoids (THC to be precise) activated CB1 receptors, which stopped the spasms and dilated the organs. In layman terms, the most psychoactive substance in cannabis expanded the airways, making it easier for air to get into the lungs. After years of research, one thing was becoming clear: THC was winning the race over CBD. CBD is known as a great anti-inflammatory agent and has increasingly been garnering the attention of users, medical experts and scientists in the last five years. That has meant THC has been underrated in the past few years, perhaps because of its psychoactive effects, which likely concerned many medical professionals and patients. A study from 2015, however, serves as a reminder of THC’s medical value. Although it was an animal study, it reached some very important conclusions and provided a strong base for further research. Researchers analyzed six different cannabinoids: THC, CBD, CBG, CBC, CBD-A, and THC-V, with a view to finding out if those cannabinoids would stop the constriction of the airways caused by inflammatory proteins. It was surprising to see that only THC and THC-V inhibited contractions; other cannabinoids, including CBD, did not. In fact, THC had a much stronger effect than THC-V, which actually blocked CB1 receptors inducing some negative effects. As can be seen, these studies indicate cannabinoids from cannabis are not as bad for asthma sufferers as was originally thought. However, until there is more conclusive evidence and a scientific consensus on the topic, the aforementioned findings should not be considered as hard proof. There is still some open questions around whether cannabis smokers don’t suffer from lung cancer as much as tobacco smokers. Unfortunately, there is substantial evidence that smoking should be avoided and one particular study from 1998 found that young healthy adults who smoke cannabis regularly are more likely to have lung inflammation, just like tobacco smokers. Edibles may prove a safe and healthy way for asthmatics to enjoy cannabis. Just Google and there are tons of recipes available for pot brownies, biscuits, candies and much more. However, be careful with edibles since it’s actually quite easy to take more than a person can handle. Edibles are metabolized in the digestive system and take up to 45 minutes to start producing effects. Compare that to smoking, which produces effects almost immediately. The high from edibles, however, is both longer and stronger. But worry not, because regardless of how high a person gets, there is no evidence that a person can overdose and die from weed. How can edibles help asthma sufferers? Since it takes long for cannabinoids from edibles to enter the bloodstream, this way of consuming cannabis probably won’t stop an asthma attack. However, if using edibles on a regular basis, it may be able to help prevent an asthma attack, as was the case for subjects in the above mentioned studies. What do other asthma sufferers think about smoking cannabis? That is a bit of what science has to say on the topic, but what about real asthma patients? How do they feel about smoking cannabis with their condition? Reddit offers some threads like this one. In this instance, the experience of asthmatic patients seems to be divided. If a person is suffering from asthma and is still using cannabis, feel free to share any experiences in the comment section below. This entry was posted in Cannabis News & Blog and tagged canada cannabis.